A car accident can be both a confusing and frightening experience. One of the first things you’ll be asked to do is provide a police report. This report is often necessary if you want to file an insurance claim, and will also be important if you need to pursue further compensation from the person responsible. Before you have to file a car accident police report for the first time, it’s a good idea to know the process involved. Do I Need to File a Car Accident Police Report? When a car accident occurs and police are called to the scene, they will ask if you and any other involved parties want to file a report. A police report shows evidence of the damage to your personal property and potential injuries you may have experienced. In Texas, you are required to fill out a car accident police report if the collision causes death, injury, or apparent damage of over $1000. In other cases, it’s not a requirement, but it will be the cornerstone of your evidence against the other driver. For minor auto accidents, however, the police may not come out unless it is specifically requested. In these cases, Texas allows you to report the accident later with the Texas Department of Transportation (TxDOT). 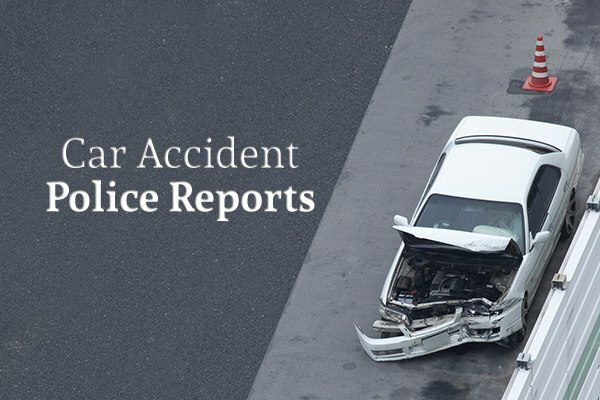 What Does a Car Accident Police Report Contain? Most of the police report will be completed by the police themselves if they come to the scene of the accident. They will take your insurance information down as well as the insurance information of anyone else involved. Their report will include identifying and descriptive factors, such as where the car accident occurred and when. It will also include an estimated diagram of the collision from the officer’s perspective. In addition to this, the police will often note any circumstances that may have contributed to the accident, such as bad weather or obstructions in the road. They will also get statements from anyone who saw the accident. If you report the auto accident to TxDOT yourself after the fact, make sure to take pictures of the accident and include the information outlined above. Do I Need to Make a Statement? It’s very important to note that even if you file a car accident police report with an officer, you don’t necessarily need to give a statement. A statement is a recounting of events from your own perspective. It is a written account that you will sign and submit. Responding police officers will often give these forms to you to fill out, but you can decline to fill them out if you wish. Most people are frazzled and anxious after they have been in an accident. You may not properly remember what occurred or you may find yourself writing the wrong thing. A written statement could become evidence against you, especially if it’s later believed that you were to blame for the collision. Consider a statement that says you “looked away from the road for a second, and then the other driver was right there.” Though in truth the other driver may have been driving too fast, saying you looked away from the road makes it appear to be your fault. The insurance companies will often use such statements against you to deny your claim. You will need to provide your identification and your insurance and otherwise assist the police in making their report. But you have every right to decline writing down a statement for them. When Should You Call a Lawyer? You should always call a lawyer immediately after a car accident – before you have called your insurance company. When you call your insurance company, they often want you to make a verbal statement regarding the auto accident. Your insurance company is not always working for you; they are attempting to give you as little money as possible. The more property damage and physical damage that is involved in an accident, the more important it becomes to retain an attorney. Your attorney will be able to go over the collision and evidence with you and then call the insurance company themselves. When trying to get compensation for a car accident, it’s important that you have as much documentation as possible. Your lawyer will also be able to help you document the accident and determine your property damages and medical injuries. If you’ve recently been in a car accident, you need to obtain professional, legal assistance. The experts at The Dashner Law Firm will help you deal with the insurance companies and get you the best outcome for your case. Contact Dashner Law today to schedule an appointment.